edit april 2017: I added in new brushes that I've been using!! Mainly for painting backgrounds! Also, there's a video now of me using some of these brushes! Download the set by clicking the "download" link on the side! If that doesn't work for you, try my drop box! 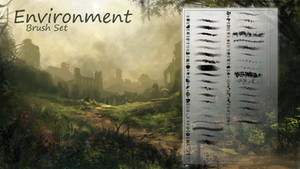 Compatibility: Works so far with both CS5 and CS6, probably CC too! 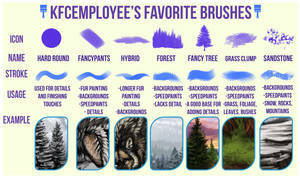 A complete list of my MAIN brushes! I added in the soft round and the new branch brush, which has been absolutely a life saver for when I get stuck on forest backgrounds!! Just slap it in and it looks done! 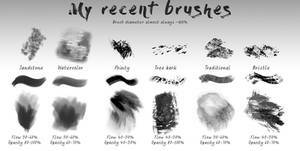 These are my exact brushes with the exact settings for them! 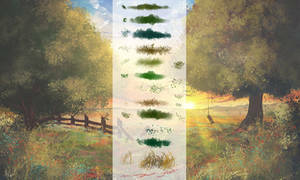 You don't need to alter the brushes themselves AT ALL to make them work the way they're meant to. What you DO need to do is change some settings of yours! 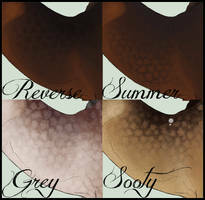 Soft round: Used to do all of the basic color adding/blending right after the sketch! Use this to color. Also for shading! Hard round: For close details like eyes, the mouth, and noses, as well as painting detailed fur! 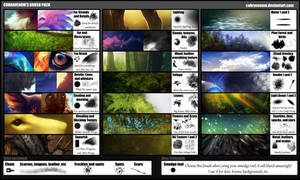 Can be used for any detailing (subject OR background) and for special effects like scars, lighting, water, snow, and blood! Fancypants: For laying down fur quickly and providing direction! Can use the hard round over it to give sharper edges afterwards. 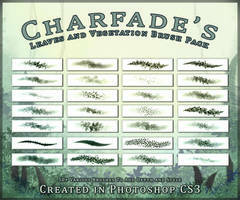 Good for doing leaves and small facial details too! I use this a lot. 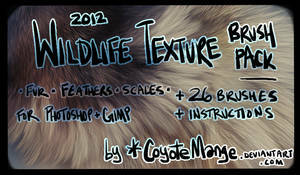 Sandstone: I've been using this mainly for painting fur! I love the texture it gives and it feels much easier to paint something when it's a little messy like this is. Set the flow low for blending, and high for stronger strokes! Also used for tree bark, snow, rocks, etc. Good all around brush! You could use this to create an entire illustration. Forest: Self explanatory! Use in the background to show distance by layering them- start with the lightest in the back and get darker and larger as they get closer! Tree base: Great for painting snowy trees! Good for trees that are close up or large. Place them down and add details on top using the fancypants or hard round! Tree bark: Excellent for painting tree bark either vertically or side to side! 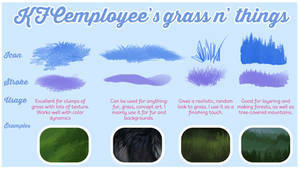 You can also use it for the ground, for some lazy grass, and for charred material! I've been using this very often for my trees and I love the texture it has. You have to paint over the strokes a lot with other colors and get them right! It can be tricky. It's a good idea to have the light source picked out and minor details added before using this. I didn't make this and the link will be below! Fire and smoke Very good for a smoky look or fire! Set the flow down to 50% or so to make this work better. 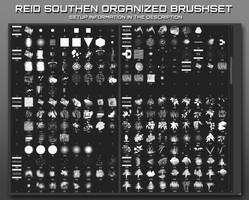 I didn't make this brush and its pack will be linked below! Bushes and leaves A nice one for treetops and foliage. It's easy to build on and paint over! I like keeping the flow high on this one. I use these for miscellaneous foliage! 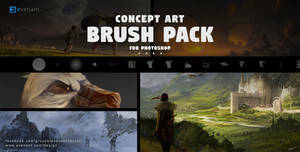 This is a very popular pack and contains a lot of nice brushes! I added the two of my favorite to my list but only so I could share them easily with you. I don't want to claim credit for them! Patreon: www.patreon.com/KFCemployee -get fullsized images, monthly commissions, and more! can they be used in FireAlpaca. 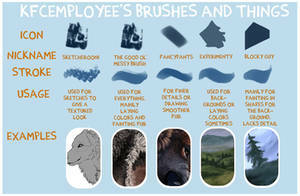 its hard to come across any good fur brushes for fireAlpaca these days and its kinda annoying to have to ask people if the brushes for other art programs would work for that specific one. theres so many cool fur brushes that look like they do wonders, but i feel as if i cant have any of them do to the fact that I'm using a art program that witch is not used a lot by not so many people. this is not agents your brushes or anything, I'm just telling people if they ever wonder the same thing. 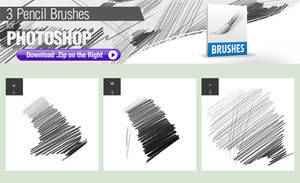 I'm not sure if it's available but are there versions of these brushes that can be used in SAI? The download link doesn't work anymore. shoot, it worked for me ): I wonder what's going on with it. There's the download button on the right side above "more from chickenbusiness", and one in the description linking to my dropbox. The one on the side worked for me, but if it didn't for you maybe try my dropbox? May I ask, what art program/tablet/computer do you use? Thank you so much for these!! I'll definitely be using them!! 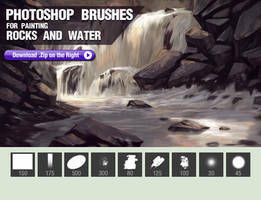 Thank you a lot, these are great brushes! Is it possible to make it a zip download? Oh thank you for these! <3 Thank you thank you thank you! I was using them on my personal art for a while and I adore them. Normaly, I would have to search up some textures or references to know how to paint something but with these, I can create freely without internet as with these, there is nothing to loose really Thanks again! I will credit you for the brushes If I use them on something I will be posting. you are so welcome!!! and no need to credit me for them, they're free and i only made one or two of them! i hope they're helpful!!! yes i agree its become my main boo recently, and anything like it!! Thanks for your sharing! I'm very exited about your amazing brush! Hello, do yo think the first four would work in paint tool sai? 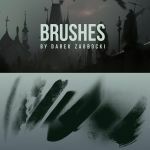 What settings do you have on the branch brush? Oh that branch brush looks like a lifesaver, Thank-you. Also, Do you have any policies for others using these brushes? Like credit acknowledgments or whether they can be used for personal or sold art? And no policies, they're all free for whatever! and no credit needed! Oh wow! You're like my salvation haha! I've been having some trouble making background trees because- uuuugh I don't really know how to make them! So these will help incredibly. Thank you so much!! Ah, these will be great! I'll download them as soon as I'm back home tomorrow! you're very welcome i hope they are useful! Do you know how to make these work for fire alpaca? If not it's cool, I was just wondering. Hmmm, I've never used fire alpaca before o: I looked it up and couldn't find any info on how to convert them sorry! which version of photoshop are these compatible with if i may ask? Oooh good question! Probably from CS5 (maybe CS4?) to CC. I've got CS6 but I had CC before and these kinda brushes worked with it too! What version have you got? 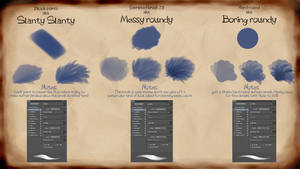 All of these brushes are pretty standard settings wise and the only one that might be different is the sandstone one, which is the one that has a texture in it. other than that all the others are simple and should be compatible with other versions! 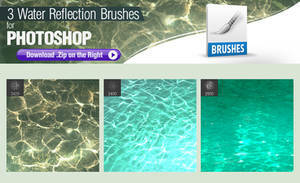 ahh, i use cs5 myself so if i pick up brushes made for CC and cs6 they wont be compatible, thats why i was asking! oh man no way that's too bad! let me see if i can get a version of CS5 to play with and maybe find out if these brushes are okay with it/see how i can make them work! okay im back!! 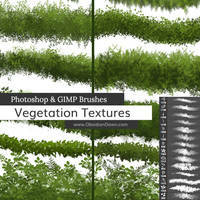 downloaded CS5 and the brush pack with it- everything seemed to work okay! The only weird thing I saw was the forest brush had its roundness jitter up to 98 but other than that, all looked good to me! if you find that they dont work or anything weird then id love to know! i hope they work for you, friend!